Plus, learn how to stop external or internal bleeding without the aid of a compress. This Set of 2 DVD's and the thirty-seven page E.M.T. 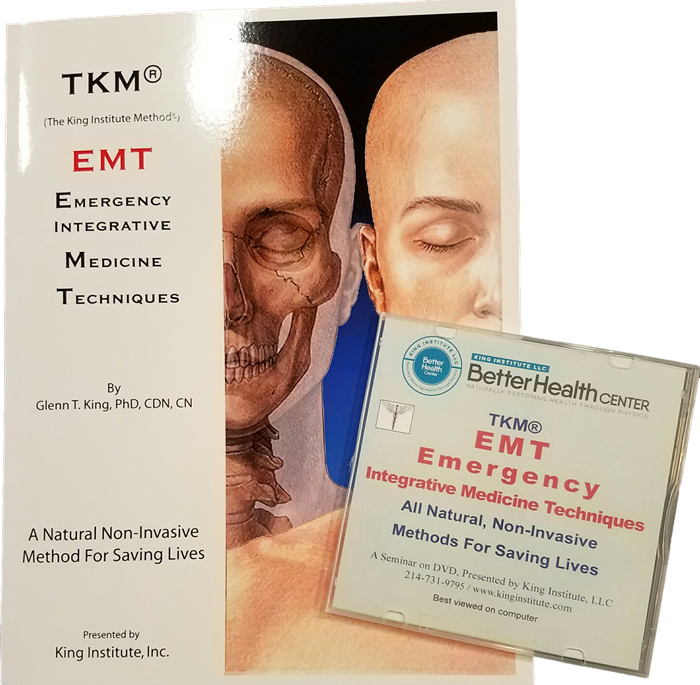 Manual offers vital information on TKM® procedures/techniques to use during the critical moments of emergency episodes. Included are common family / household uses. Instructions for these easy-to-use emergency procedures are accompanied by easy-to-follow illustrations. © 2002, 2007, 2014 Glenn T. King, PhD, CDN, CN, All Rights Reserved.